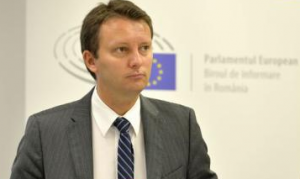 MEP Siegfried Muresan (PPE / PNL) has submitted this week an amendment to the European Parliament’s interim report on the EU post-2020 multiannual budget and demands EUR 2 billion for projects and actions aimed at strengthening and defending the rule of law in the European Union (EU). The amendment refers to the budget allocated to the European Union’s Rights and Values ​​Programme. This program was proposed by the European Commission in the draft of 2021-2027 Multiannual Financial Framework, to fund projects that promote the rights and values ​​of the European Union in member states. The program can finance, among other things, information and communication campaigns, training activities, exchange of good practice and analytical monitoring. All legal entities from member states, namely governmental institutions as well as non-governmental organizations, media outlets, etc. are eligible. The European Commission initially proposed three components of the program: equality and rights, citizens’ participation in the democratic life of the EU and combating violence. For these components, the Commission has allocated around EUR 565 million in the project for all seven years of the budget implementation. Subsequently, the European Parliament proposed a fourth component: promoting democracy and the rule of law. Given the importance of this fourth component, Siegfried Muresan asked for an adequate funding and the increasing of the total budget of the program from EUR 565 million to EUR 2 billion. “We see that both in Romania and other EU member states, fundamental values ​​of the European Union, such as democracy, the rule of law and the independence of the judiciary, are being constantly attacked. We are witnessing misinformation campaigns, fake news and even anti-European statements made by populist politicians. Often, these attacks come from outside the European Union, from the opponents of the European democracy. That is why, through this program, we want to defend the EU values ​​and provide citizens and civil society with the necessary tools to defend themselves from these attacks. We have asked for an increase in the budget for this European Union program from EUR 565 million to EUR 2 billion, precisely to ensure that in the seven years of the budget implementation there will be enough funds to run programs in all 27 member states of the European Union,” says Siegfried Muresan. Siegfried Muresan’s amendment is to be voted in the Budget Committee and then in the plenary of the European Parliament. If it will get through the Parliament’s vote and be approved, Siegfried Muresan’s proposal will be found in the European Parliament’s mandate on the final negotiations with the EU Council on 2021-2027 Multiannual Financial Framework of the European Union.